Work by FSU art student M. Arendsee (known by the artist name MANDEM) was selected by the Council on Culture & Arts Committee to be exhibited in the 2014 Creative Tallahassee Juried Art Exhibition. This annual exhibition at the City Hall Art Gallery highlights the work of both well-known and emerging regional artists. The exhibit will be on display from Wednesday, March 12 to Monday, May 5, 2014 (Monday-Friday, 8:00am-5:30pm). A public reception and awards ceremony will be held on Friday, April 4, 2014, from 6:00pm-7:30pm. The City Hall Art Gallery is located on the second floor of City Hall at 300 South Adams St. (Tallahassee, FL). Part of the City of Tallahassee’s Art in Public Places Program, this intriguing gallery offers a diverse selection of works by both regional and local artists. Exhibits change every six to eight weeks, and feature all media from contemporary to traditional paintings, drawings, photographic works and sculptures. Learn more at http://cocasite.squarespace.com/city-hall. More information about MANDEM’s current and upcoming exhibits is available on their website at http://mythpunkart.com. 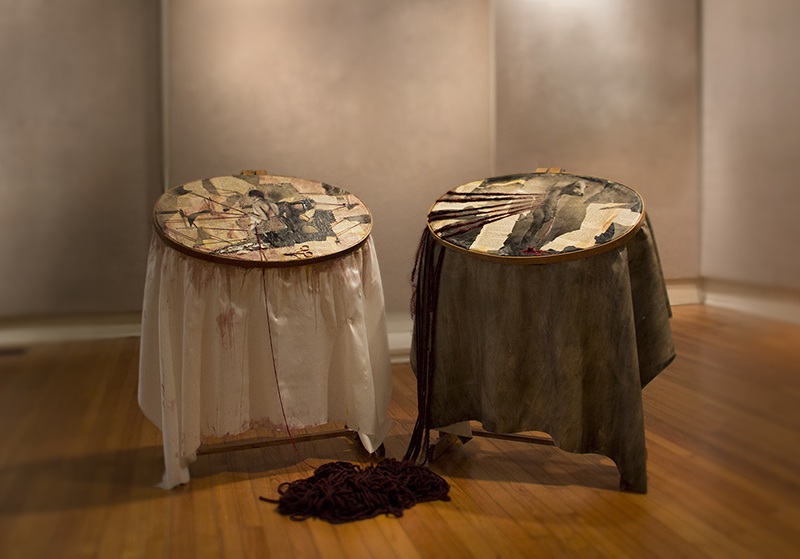 “Her Brother’s Keeper: Domestication,” a mixed media work by MANDEM, was selected for the 2014 Creative Tallahassee Juried Art Exhibition.